I work from a lot of places – my home, The Wing, airplanes, random coffee shops. But my work setup is always the same. I open up my laptop and fire up a playlist on Spotify on my iPhone – either Late Night Focus or Indian Chill – which stream over my AirPods. A giant bottle or tumbler of water sits next to my computer. I uncap my pen and open my Silk & Sonder planner to the current day. I’ve talked about this planner in the context of my to-do list (which contains 5 main things, no more and no less). 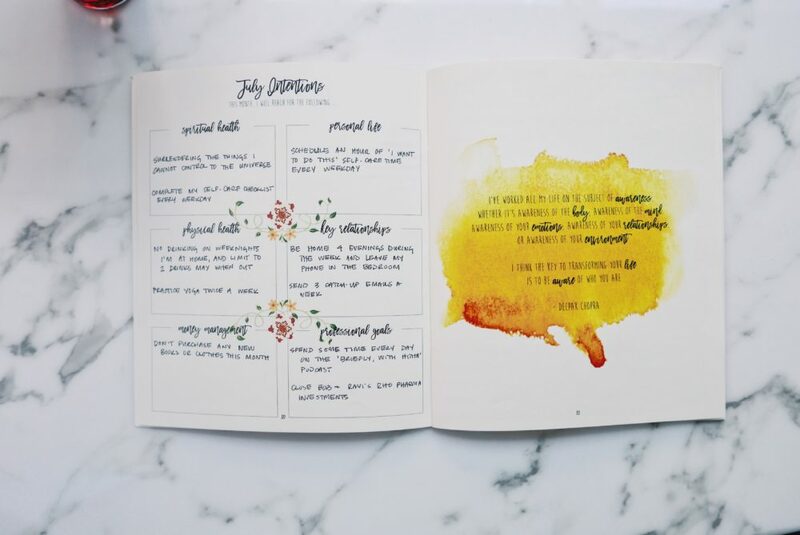 But there’s a lot more to the Silk & Sonder planner than its weekly spreads, and it’s evolving and changing every month. 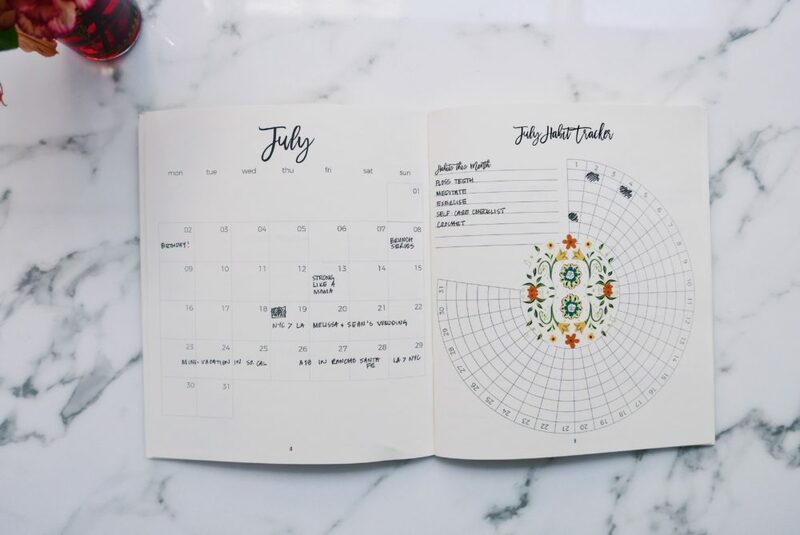 Before we dig into the layout of the planner and how I use it, I want to share how it’s changed how I work and live. I’m not exaggerating when I say it’s changed my life. 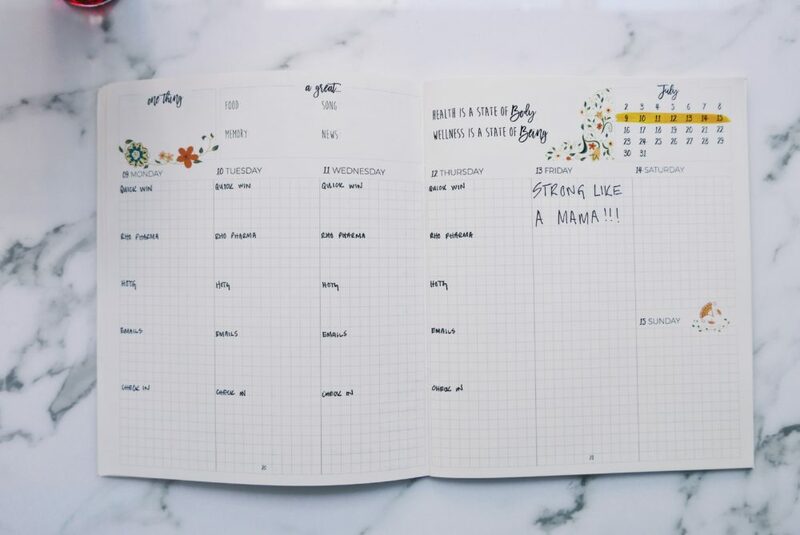 The planner keeps me organized to my work. It gives me a place to scribble down notes, ideas, future plans. It helps me track existing habits and new ones I want to accomplish. It helps me set goals, and review them daily to stick with them. It’s beautiful. We could all use some more beauty in our lives. 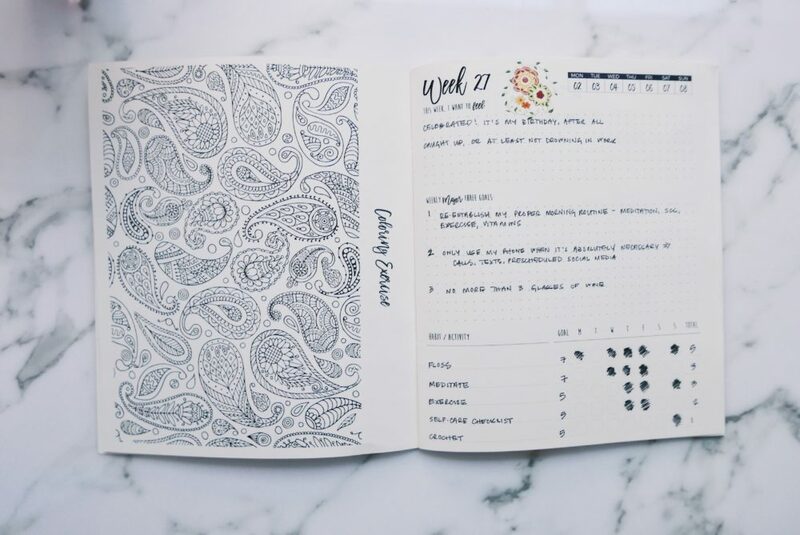 Before using this planner, I’d create complicated bullet journal layouts that I’d abandon after a few weeks, start new notebooks without ever finishing them, have notes scribbled all over the place, and generally fall behind on nearly everything. I know I’ve said it before, but this time it’s true – this system is the one I’ve stuck with the longest. What I love most about it is the monthly format. 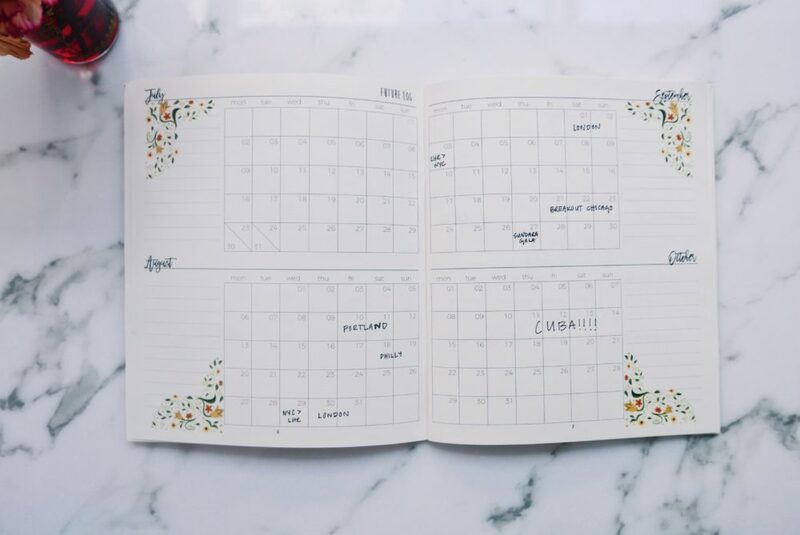 Every month is a literal blank slate, and I love spending an hour or two in a coffee shop, without my phone or computer, filling out the early pages of the planner to start a month on the right foot. I admittedly never look at the 2018, but I do fill in the future log with upcoming trips and day-long events, and I’d like to be better at filling in birthdays and anniversaries and being that person who sends cards to my loved ones. If anyone has a good practice of doing so and some tips on getting started, please let me know! I fill the monthly calendar with my travels and day-long events again, but I also will add deadlines for major projects and Rho’s school and appointment dates in here as well. I favor my iCal over a paper calendar for my ongoing work tasks, as things are always changing and I hate crossing out dates in my planner. The habit tracker is one of my favorite features of the planner. It’s helped me be accountable to ongoing habits (like flossing and meditating) and establish new habits (currently, crochet and doing more face masks). I like to fill these in every evening, or at the end of a weekend. Some months I’m diligent about filling this section out. Other months, I leave it blank. 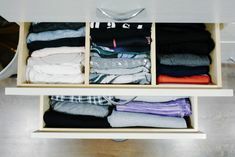 It’s a great section, and I find I’m more intentional and focused in my days during the months I do fill it out (if I do, I tend to review these intentions before jumping into work). But I also love Fran Hauser’s 4 Quadrants, which I’ll scribble down in the first note page of this notebook every month. I find myself writing that out and reviewing it daily more than the monthly intentions. I would love a couple of blank notes pages early in the notebook for that purpose. Can I make a confession? I’ve yet to complete a single coloring exercise, though I have started it with the best of intentions every month. I like knowing it’s there, and I keep some colored pens on hand at all times. It’s an excellent way to take a break for 5 minutes between work tasks, but I’ve been favoring reading a book or catching up on my Instapaper queue instead these days. Filling out the weekly plan has become a part of my Sunday Setup. I love setting my work goals and personal intentions for the week, and highlighting a few habits to track. I’m diligent about filling this page out weekly, and reviewing it daily. I share the details of how I use this spread here, but I do fill in each section on Sunday along with the weekly plan. July’s layout was the first that they had the entire week in one spread like this, and I hope they bring it back for September. I typically fill out the sections Monday-Friday, and leave the weekends blank. Halfway through the month is this Currently section. I find myself filling out the ‘reading’ and ‘watching’ sections (it helps me keep track for my book reviews and Hit List posts), but I don’t usually fill out the rest. It’s a nice-to-have section, but I’ve never been particularly drawn to it. Maybe next month? 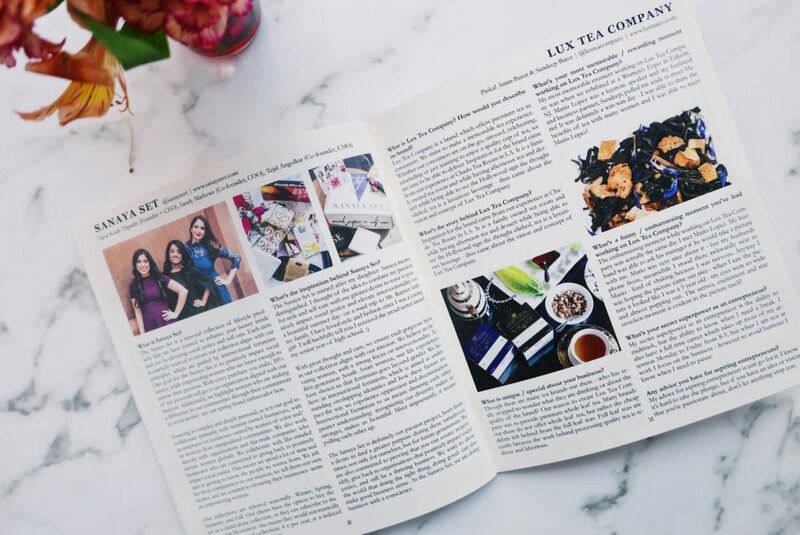 The end of every Silk + Sonder planner has a recipe and some articles about incredible women-led companies that are bringing intentionality back into the everyday lives. 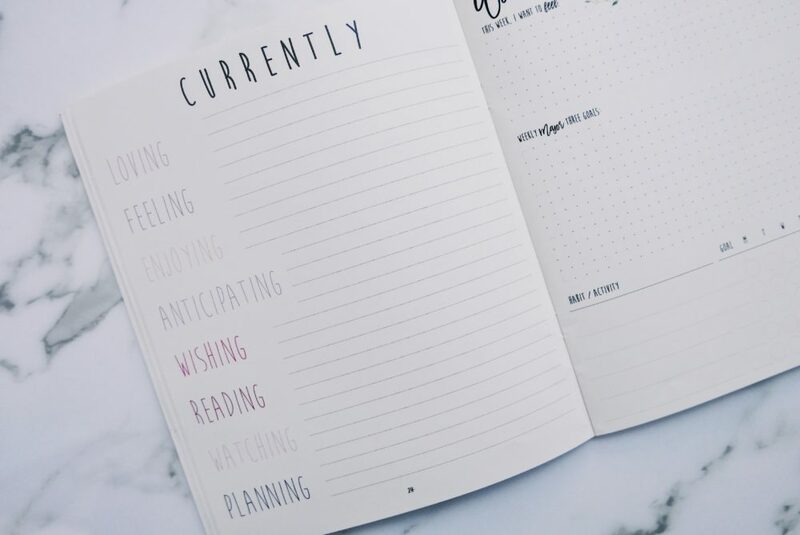 I’ll sit and read these pieces after setting up my planner for the month ahead – it’s a nice way to end that monthly planning date. 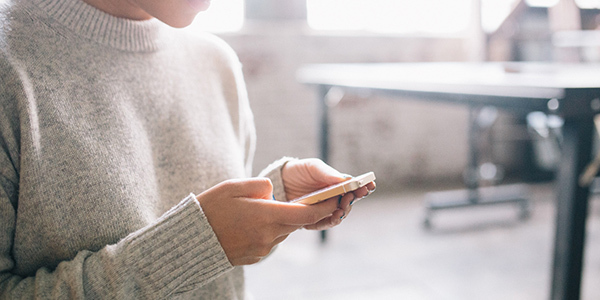 Silk + Sonder is always refining the layout every month. 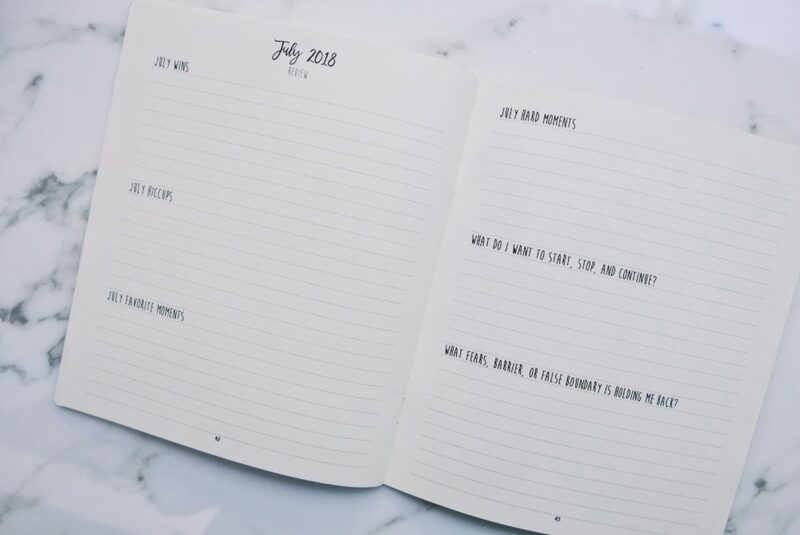 In August, they went with a gold coil (which I loved), added a meal planning section (it’s nice, but I don’t use it), and went back to their 3-page spread for the week (strongly dislike, but it’s easier to manage with the coil binding). I’m told that planner customization is a feature they’re rolling out soon, and I CANNOT wait. I truly love this planner, and it’s noticeably improved my life. I couldn’t recommend it more highly. 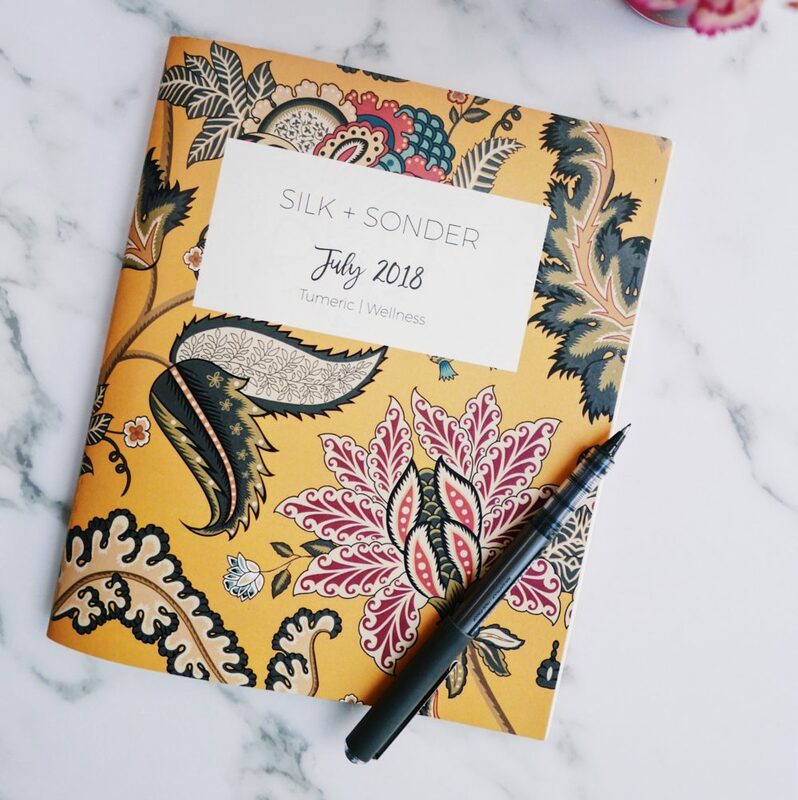 Want to try Silk + Sonder for yourself? Use code HITHA15 to get 15% off all monthly or annual subscriptions. 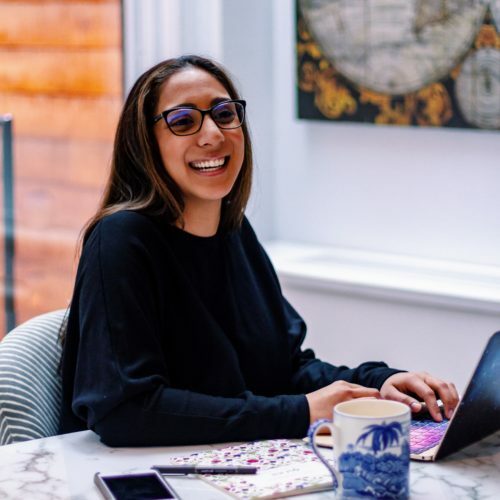 Other habits that have changed my life – meditation, following the Pomodoro method, and reading voraciously. You can find all my habit hacks here.